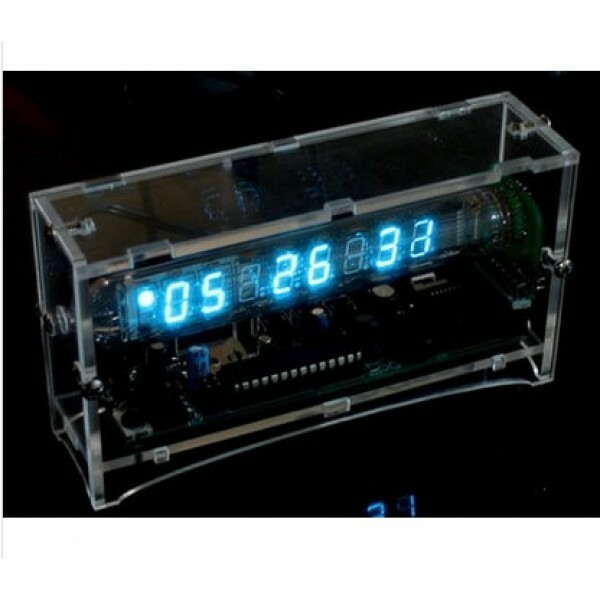 This is AdaFruits first clock kit design, made with a retro Russian display tube! Completely open source hardware and software, ready to be hacked and modded! 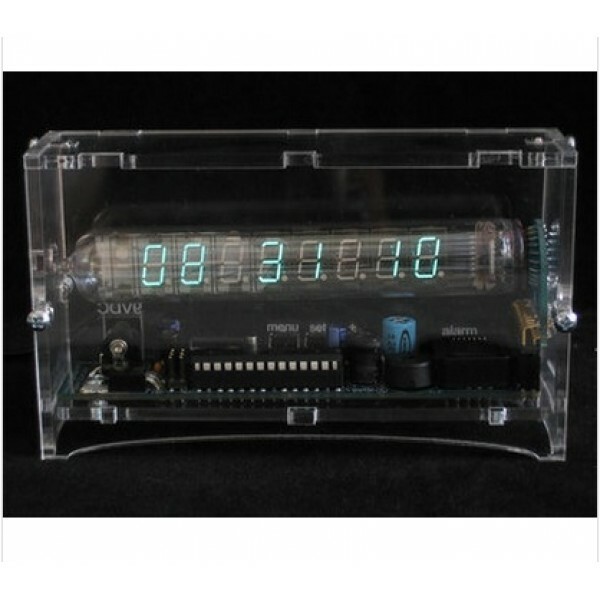 Complete kit comes with a 110/220V 9VDC power supply (a cheap plug adapter from your local hardware store will allow it to be used worldwide), all components including PCB, vacuum fluorescent tube, backup battery and a clear acrylic enclosure. Assembly is required! This kit is made of through-hole components but is best built by someone with previous soldering experience as there are many parts and steps. 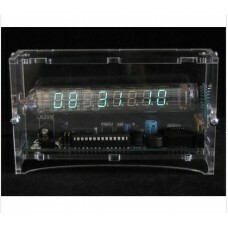 For assembly instructions, user manual, code, schematics, and more, please visit the Ice Tube Clock webpage! **Note: This kit is super popular, and the supply of tubes is harder to get. Thus the price is going to increase slowly but surely until the tubes are unavailable & the kit is discontinued. Thanks for your understanding! With the new Arduino Zero Pro board, the more creative individual will have the potential ..